Maryland law requires which requires all children in Maryland to use a booster seat until the child turns 8, or reaches a height of 4'9". As of 2012, there is not longer an "over 65 pounds" exemption to this rule. In 2013, Maryland added another new law that requires kids from 8 to 15 years old who is not secured in a car or booster seat must be secured in a seat belt. How Important Are Booster Seats? What booster seats do is elevate children to ensure seat belts are positioned correctly across their chests without riding up to their necks. Famously, the authors of Freakonomics - an otherwise fantastic book - argued that "there is no evidence that car seats do a better job than seat belts in saving the lives of children older than 2" which led many people to question the efficacy of child seat and booster seats. It is easy to fall prey to the idea that the need for child seats and booster seats is manufactured by the makers of car seats and booster seats. But, undoubtedly, the convention wisdom is you child is much safer following the guidelines set forth by the state. According to the CDC, the use of child booster seats for children ages 4-7 reduces the risk of injury from a car accident by 59% compared to using just a seat belt. So it seems pretty clear that besides being Maryland law, using a booster seat is the safest path for your child. And, of course, it is Maryland law (although it is a law without real teeth - no points and a small fine). There are tons of information on this website about how to deal with car accident lawsuits and claims. But the most important message in the nearly 1,000 pages on this website is right here: properly secure your children and wear a seat belt yourself. Why? Because they work. Booster seats lift small kids higher up and get the seat belt on them in a way that better protects them. Studies have shown that booster seat laws reduce motor vehicle crash injuries, particularly the ones that matter the most: fatal and incapacitating injuries. One study showed the a 17% drop in deaths and catastrophic injuries. 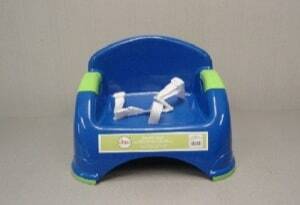 In October 2012, Maryland updated its child booster seat law. The law was changed to address the problem of too many people putting kids in a booster seat too soon or, with older kids, not making them use a booster seat at all. The old law allowed parents to let children graduate from booster seats when they reached 65 pounds. For the last 18 years, Maryland has had this seat belt law that requires adult front seat occupants to wear a seat belt. Obviously, there are also laws requiring children to wear a safety belt, even rear seat passengers. Our seat belt law authorizes police officers to ticket drivers and/or adult front seat passengers for not wearing a seat belt.